Use the return envelope provided with your monthly bill to send payment. Electronic checks, debit cards, Visa, MasterCard, Discover and American Express credit cards are accepted through our automated payment system by calling (800) 255-6815 and selecting option 2. Visit theenergycoop.com and click Pay My Bill with SmartHub. Allow two business days for your payment to post to your account.  Visit theenergycoop.com to download the application or call (800) 255-6815. Bills may be paid at the main office located at 1500 Granville Road, Newark, Ohio, Monday through Friday from 7:30 a.m. until 5:00 p.m. (except for certain holidays).